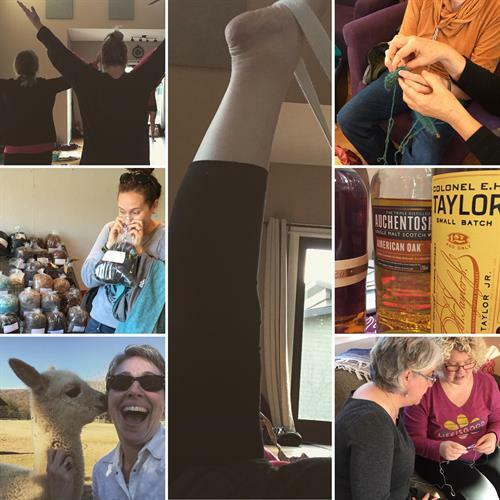 Improve your knitting techniques and replenish your body and spirit at this retreat in the beautiful Northeast Georgia Mountains. Yoga practice and knitting workshops each day in an intimate and supportive environment. Beginners and advanced practitioners at both yoga and knitting are welcome and encouraged! Beginners receive special attention. The schedule is designed so that you may be as involved in the activities as much or as little as you wish. All-inclusive fees for four-day retreat covers accommodations, meals, all yoga and knitting classes, and more! A 50% deposit is required to reserve your space. The remaining balance is due 7 days prior to the retreat.